DoMyOwn’s wide selection of bird feeders, bird houses, and bird baths can be placed throughout your property to bring wild birds into your yard. Cardinals, sparrows, hummingbirds, and more wild birds will enhance the beauty of your backyard. Shop now to enjoy free shipping on your entire order. 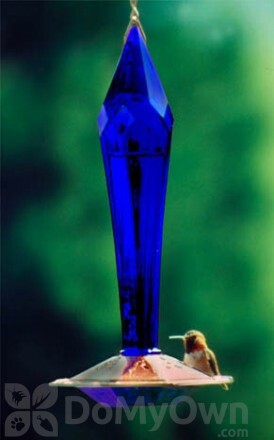 An all natural nectar that is enriched with essential vitamins and minerals to make Hummingbirds stay healthy. 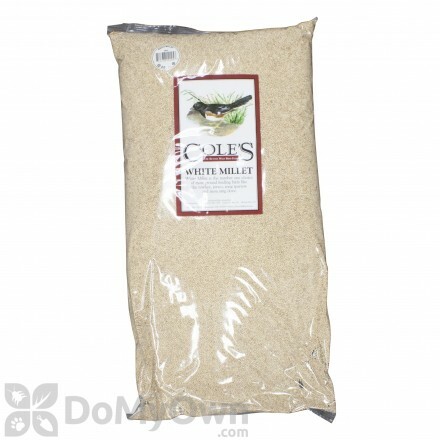 Cole's Wild Bird Products Co White Millet (10 lbs) is a special seed that is a favorite among ground feeding birds like doves, juncos, song sparrows, and towhees that comes in a 10 lbs. pack. A watertight feeder which will be perfect for Hummingbirds. Cole's Wild Bird Products Co Blazing Hot Blend (5 lbs) is a small 5 lbs pack of seeds with a combination of habanero chili oil formula. A squirrel resistant tool for your bird feeders. 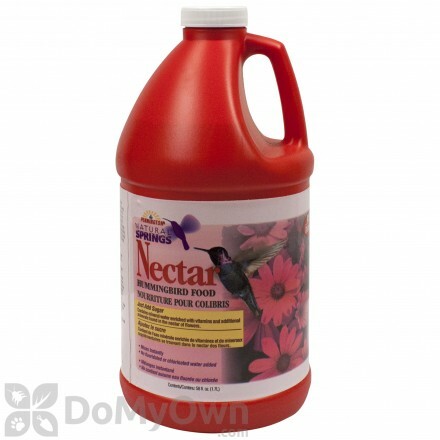 Pennington Natural Springs Hummingbird Nectar Ready To Use 64 oz. Elegantly shaped bird feeder for your hungry hummingbirds. A lowering and raising device for your gorgeous hanging baskets. A gazebo type bird feeder that is perfect for any outdoor setting and bird dining stations. This bluebird house is constructed from premium Eastern red cedar wood that is guaranteed weather-resistant and will provide a comfortable nesting and resting place for your feathered friends. Birds love Pennington Wild Bird Feed! Rich in essential fat and protein that birds need. Roger Eddy Metal Soda Bottle Bird Feeder uses a 2 liter size recycled soda bottle to create an incredible feeder. Cole's Wild Bird Products Co Cracked Corn (5 lbs) is the ideal bird seed if you are on a budget and it comes in a small 5 pound bag. 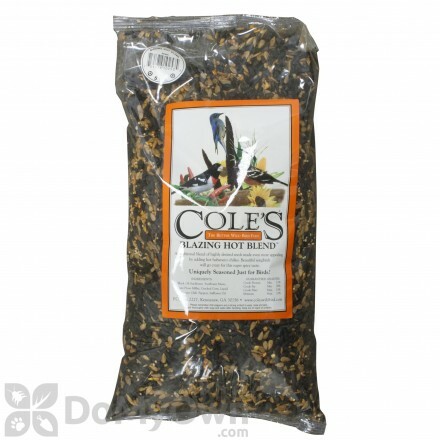 Cole's Wild Bird Products Co Sunflower Meats (5 lbs) is a special suet treat in a small 5 pound pack that is made from pure sunflower. 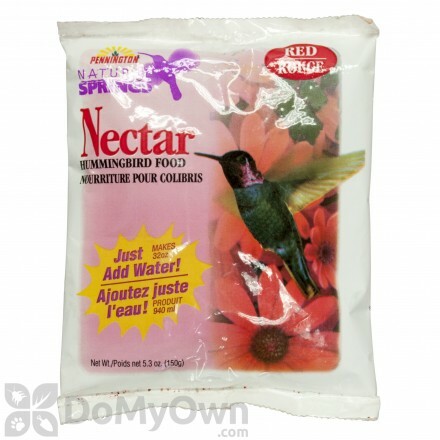 A special clear hummingbird nectar powder that comes in an 8-ounce box. A beautiful ruby colored crystal spiral feeder that has a fascinating and artistic design. An all-natural grape infused nectar sure to attract a lot of birds. An attractive hummingbird feeder that is perfect to model near your window. A great concentrated solution to clean out bird droppings on any surface. 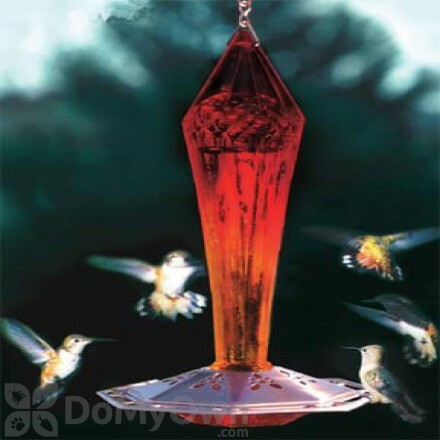 Schrodt Sapphire Hummingbird Feeder 12 in. is a hummingbird feeder made from imported French bottles!